As third grade students at Altmar-Parish-Williamstown Elementary School were studying physics and forces and motion in physical science recently, they decided to put their knowledge to a test. Jacob Schick, Kristi Cross and Payton Brown show off their catapult design during the recent physical science project. 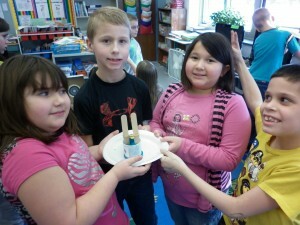 Teams of students were given a project to design and construct a catapult that would launch a marshmallow at a target. Each student worked individually to develop their idea of a design for the catapult and then as a team they discussed and evaluated the individual designs to see which one they would use for their team project. The teams voted on and incorporated different aspects of other designs that they thought would improve the overall efficiency and accuracy of their final build. 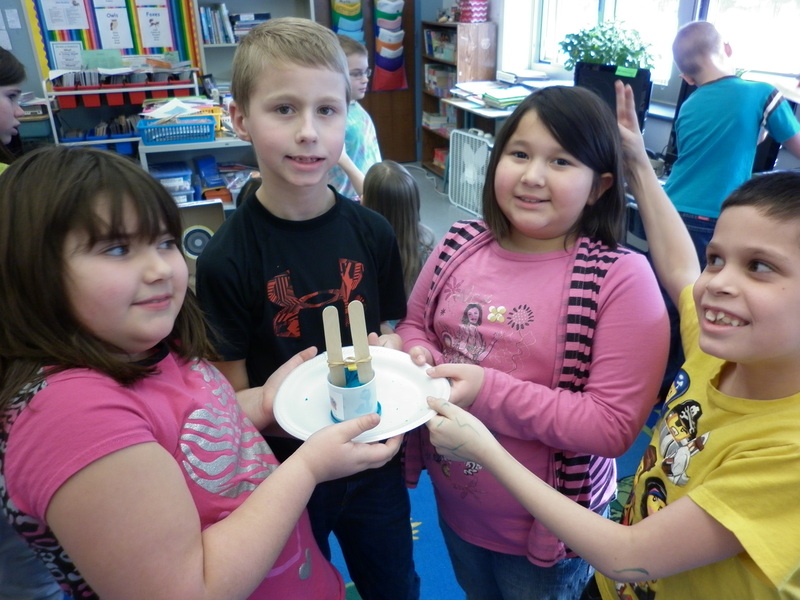 Third grade students in Sharon Amyotte’s and Denise Warchol’s classes work on developing their catapult designs during a recent physical science project. 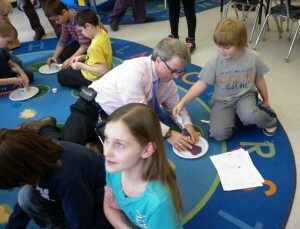 APW Elementary School Principal Michael McAuliff gets into the project as he lends a hand to Daren Thompson’s catapult test. 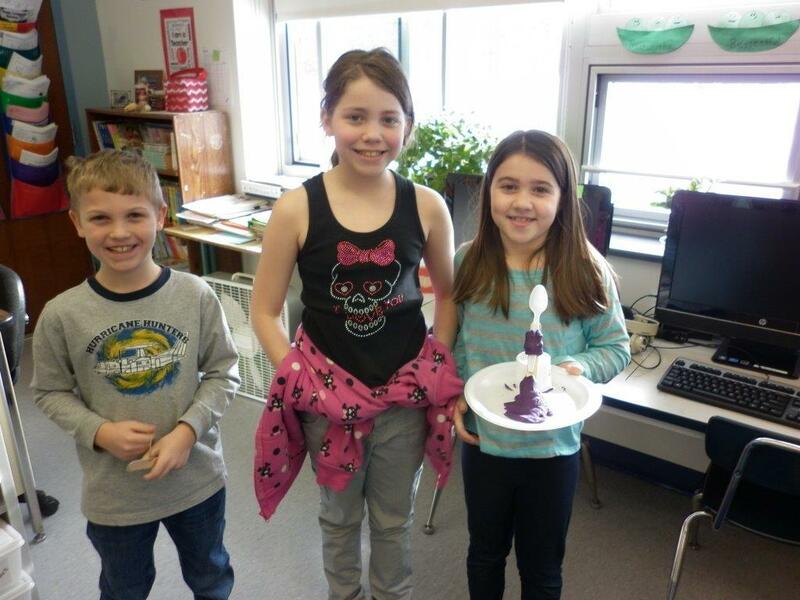 On competition day, each team was given the same materials: modeling clay, rubber band, paper clips, plastic spoons, paper plate and a marshmallow to use in building and testing their design. The teams took turns launching their marshmallows at the target and also compared distance measurements for each of the teams. The students, from Sharon Amyotte’s and Denise Warchol’s third grade classes also got some input from APW Elementary School principals Michael McAuliff and Julie Woolson. Pictured with their team design, from left, are: Delaney Dunn, Wayne Borland, Lilly Lopez and Joseph Smith.